Tooth decay and other oral diseases can be highly prevalent among people living with HIV/AIDS (PLWHA). Even though dental professionals are trained to provide equal and non-judgemental services to all, intentional or unintentional biases may exist with regard to PLWHA. We conducted qualitative descriptive research using individual interviews to explore the experiences of PLWHA accessing dental care services in Vancouver, Canada. We interviewed 25 PLWHA, aged 23–67 years; 21 were men and 60% reported fair or poor oral health. Thematic analysis showed evidence of both self-stigma and public stigma with the following themes: fear, self-stigma and dental care; overcoming past offences during encounters with dental care professionals; resilience and reconciliation to achieve quality care for all; and current encounters with dental care providers. Stigma attached to PLWHA is detrimental to oral care. The social awareness of dental professionals must be enhanced, so that they can provide the highest quality care to this vulnerable population. In 2012, there were approximately 71 300 Canadians with diagnosed HIV.8 Dental professionals play a significant role in their health outcomes as HIV progression can be associated with the development of specific oral pathologies, even before a formal diagnosis of HIV infection is made.9,10 Nonetheless, people living with HIV/AIDS (PLWHA) may be reluctant to get help because they fear judgement, rejection and stigmatization once they disclose their HIV status.11 Although efforts to reduce HIV-related stigma and discrimination have been a common struggle around the world,12,13 there is still unwillingness to care for PLWHA based mainly on preconceived assumptions and misconceptions. Little is known about how PLWHA experience stigma in dental settings in the Canadian context. The objective of our study was to better understand the stigmatizing experiences of PLWHA seeking oral care. We conducted qualitative research using individual interviews to examine oral health-related issues in great detail.14-16 In this study, we used a descriptive approach17 to offer a comprehensive summary of participants' experiences with stigma. We conducted semi-structured individual interviews after obtaining informed consent from a convenience sample of participants, who were English speaking and over 19 years of age, had a known HIV positive diagnosis and had sought oral care at least once in their lifetime. Between March and July 2012, we recruited participants by placing posters in 2 community centres in East Vancouver and 2 HIV-focused organizations in downtown Vancouver. We had worked with these organizations during previous studies, and they showed an interest in partnering again. The community centres offer information on HIV-related issues, including prevention, while the HIV organizations offer support, resources and social activities specifically to PLWHA. We used a purposeful sample of participants who were "information-rich"18 on issues related to their experiences with stigma as per the poster's call: "If you are interested in engaging with other HIV-positive individuals and would like to voice your experience in assessing (or not) dental care, we would like to hear what you have to say. Come on board!" Potential participants signed on to be part of the study at the information desk in the 4 locations during the 5-month study period. Every 2 weeks, MAB dropped by the locations to collect the email address or telephone number of those interested. A total of 25 people, aged 23–67 years old and living with HIV from 1.5 to 27 years, gave their contact information and were interviewed. Of them, 21 were men, 15 self-identified as Caucasians and 60% self-reported having fair or poor oral health. Participants also filled out an information sheet containing questions about their educational level, marital status and self-perceived oral and general health (Table 1). Table 1 Demographic information from the 25 participants in Vancouver. Note: M = male, F = female. Each participant was interviewed once in a designated room at the centre or organization where he or she enrolled in the study. Interviews lasted 34–79 minutes and were audio-recorded for transcription and analysis. A trained research assistant conducted the interviews following a specific guideline and using semi-structured open-ended questions that covered the following topics. These topics were selected from the existing literature on HIV transmission, stigma and access to health and dental care. They were addressed in the interview guide by such questions as: What do you know about HIV transmission? Have you disclosed your status to your dental team? If yes, why? Did they [dental professionals] make you feel comfortable about disclosing your HIV status? If no, why? Have you ever experienced stigma/discrimination in a dental setting? If yes, how? Given the nature of qualitative research, questions were slightly modified as the interviews progressed. Probing questions were added to tease out more information when needed, and participants were encouraged to disclose any experience related to the topics. We adapted the steps suggested by Braun and Clarke19 to conduct constructivist thematic analysis, while incorporating the structured coding procedures described by Saldaña.20 We used NVivo 9 software (QSR International, Melbourne, Australia) to code the transcripts and keep track of interpretive phases of the analytical process, which helped ensure dependability and confirmability of our interpretations. The first step consisted of carefully reading each transcribed interview to become familiar with its content while coding the main ideas. Coding was done by selecting sections of the transcript dealing with a particular topic. Two of us (MB and NRM) coded the first interview separately, and then met to check for consistency. Differences in coding were discussed until consensus was reached. NRM coded the remaining transcripts, informing the other authors regularly of the findings. Similar codes were then combined so that we could make assertions pertaining to our objectives. The final step involved revising and recombining codes in a cross-interview pattern-analysis to identify themes and subthemes. Our study revealed the influence that both self-stigma and public stigma have on PLWHAs who seek dental care. Four themes emerged: fear and self-stigma in disclosing one's HIV status; overcoming past offences during encounters with dental care professionals; resilience and reconciliation to achieve quality care for all; and current encounters with dental care providers. Participants described their struggles with anxiety and fear associated with dental professionals' reactions and responses to their HIV status. For example, anxiety was induced by questions that went through a participant's mind. Another participant emphasized the importance of learning how to contain the fear and distress of being HIV positive while trying to focus on finding dental professionals who would make them feel comfortable despite knowing their HIV status. Indeed, the fear of disclosing one's HIV status was closely related to self-stigma for some: "HIV is like a curse and it is on your face. You try to hide, you try to avoid talking about it, you try to avoid bringing it up"(P17, female with HIV for the past 11 years). Participants also indicated concern about confidentiality. For example, one participant reported fear of sharing personal health matters with someone else, even a health care provider. On the other hand, when participants felt confident and secure, they experienced less stress when disclosing an HIV-positive status. Our findings indicated that self-stigma motivates participants to look for dentists who are knowledgeable and caring toward PLWHA and with previous experience in treating HIV patients. Participants believed the active seeking of an experienced dentist influenced their overall wellness. For others, self-stigma was also deeply engrained as participants still questioned HIV transmission routes despite the universal precautions regularly used in dentistry. "Misdemeanour" encompasses any discriminatory, labeling, stereotyping and other unprofessional behaviour observed or felt by the participants. For example, participants felt that the patient–dentist relationship changed once HIV status was revealed. The possible change in the dental care experience as perceived by participants was also related to the fact that some dentists automatically labeled patients as "infectious." PLWHA reported being told "sorry, we don't have anybody to deal with that [HIV/AIDS]" (P1, male with HIV for the past 27 years), while others were turned away because the clinic was reportedly full and could not take them on as a patient. Other discriminatory experiences included watching dentists double-glove and use extra protection "as if we were highly infectious or contaminated, or else"(P19, male with HIV for the past 1.5 years). Participants found this behaviour discriminatory and insulting and believed that it negatively affected their self-esteem because it was seen as a reflection of society's perceptions of PLWHA. One participant also indicated that their HIV status caused dental professionals to assume that they were drug users, further contributing to discriminatory behaviour. Participants also noticed other stigmatizing and discriminatory behaviour by dental professionals, both subtle and overt, including avoiding eye contact, dismissing a request or comment, not shaking the patient's hand, using scented aerosol spray after the patient left and referring the patient to another professional without fully explaining the reason. These behaviours were described as vividly experienced by participants; we did not attempt to confirm how they knew about such behaviours. Some participants also stated that dental office staff acted strangely and fearful while providing services to them. Stigmatizing experiences also occurred with regard to the $1000 for dental care that PLWHA may be entitled to receive every 2 years as a Canadian disability insurance benefit. Participants emphatically stated that some dentists did not accept such insurance while others said, "It is not enough; it does not take you too far when you have lots to be done" (P13, male with HIV for the past 14 years). Others, however, were somewhat content with having some dental coverage, which may have been an incentive for them to be more engaged in oral self-care. Resilience has been a long-term companion for those affected by HIV. The ability to be resilient seems to be protective against self-stigma. Participants also made use of available resources to better frame their individual response to HIV. Others seemed to have relied on family and close friends to find inner strength, as expressed by P2 (a male with HIV for the past 19 years): "If it wasn't for my family, I wouldn't be here today. They supported me all the way and still do, even when I doubt myself and was feeling ashamed for being [HIV] positive." Despite all the challenges and barriers, PLWHA seem to continue to seek care, strive for optimal oral health and try to overcome adversities related to their HIV diagnosis. Even though most participants (60%) reported having fair or poor oral health, some added that "it could have been much worse, much worse, like my parents who do not have HIV and have no teeth left" (P16, male with HIV for the past 9 years). According to some participants, reconciliation would entail coming to terms with oneself in the face the infection: "It was not long after I accepted that I got infected that I could look myself in the mirror and re-start taking care of my health... my teeth were horrible after years of neglect"(P18, male with HIV for the past 16 years). For others, reconciliation would require both society at large and dental professionals to become more knowledgeable about HIV and create a stigmatizing-free environment. 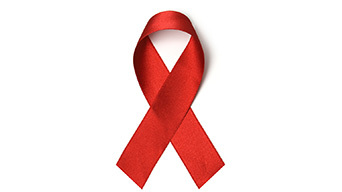 For example, some suggested a Q&A session for dental professionals about HIV and oral health. Without being specific, other participants suggested that greater knowledge and education could act as powerful tools to improve understanding of the disease progression. Participants believed that providers' increased knowledge and clinical experience would lower self-stigma and act as a bridge to improve the relationship between the patient and the dentist. According to our participants, bad experiences with dental professionals had happened in the past; they were now under the care of "friendly and open-minded, very knowledgeable and non-judgemental dentist(s)" (P7, female with HIV for the past 8 years). In fact, despite past discriminatory experiences, participants indicated that their current dental encounters were quite positive, and referred to advances in communication and at-your-finger-tips information. Other participants gave examples of how they experienced dental care recently. For one (P3, male with HIV for the past 11 years), it was important that his current dentist was well informed about HIV and able to perform procedures without being fearful or judgemental: "[T]he dentist was well informed. He understood the ways to get HIV, not from my saliva. He was quite talkative and concerned with my health. I felt at ease." Likewise, other participants reported experiencing less stigma and discrimination when they encountered dental care professionals with higher levels of HIV knowledge and a non-judgemental demeanor. Nonetheless, they did mention that such good experiences may be a result of the fact that they live in a metropolitan area, while "up north or in the suburbs, I heard that some dentists are still refusing or finding lame excuses to not provide care to an HIV positive client" (P15, male with HIV for the past 14 years). To achieve our objective of better understand the stigmatizing experiences of PLWHA seeking oral care, qualitative research was an appropriate method for exploring such sensitive issues. Although the scientific literature is filled with information about the biomedical aspects of HIV,21,22 much less emphasis has been placed on the experiences of PLWHA.23 Participants in our study reported feeling directly or indirectly labeled, stereotyped, excluded, isolated and discriminated against when they sought care from dental health professionals, which supports the findings of Link and Phelan.4 As most participants in our study had experienced negative responses from dental health professionals in the past, their oral health may have deteriorated. In fact, 60% still reported having fair or poor oral health even though some are currently seeing a dental professional. Our findings are consistent with the fact that public stigma toward HIV directly influences self-stigma. A study among PLWHA in South Africa found that more than 30% of participants felt dirty, ashamed or guilty about their HIV infection,24 feelings shared by some of our participants, particularly in terms of guilt over having the disease. Moreover, our participants felt immense anxiety related to the public's perceptions of HIV; they have acquired a condition that was ostracized long before they were diagnosed.7 For health care providers, rejection seems to be the easiest way to achieve social distance from stigmatized populations. Participants believed that stigma and discrimination were greater in the past, and they suggested that education, clinical experience and ready-to-use information might have helped reduce stigma. Because HIV content is included in the curriculum at most faculties of dentistry, new graduates tend to be more aware of HIV issues.29 They may also be more aware of the historical context of the disease that may make some patients anxious about disclosing their HIV status and patients' past adverse encounters with dental professionals. Our study had several limitations. Although informative, the accounts presented here came from a diverse yet purposeful sample of participants; thus, they may not reflect those of all PLWHA. Aside from the small number of participants and the male predominance, we also did not explore the influence of ethnicity, educational levels, marital status or age on the views and experiences of the participants. Moreover, the interview situation may have been intimidating to some participants, who may have been embarrassed or uncomfortable about sharing their stories. The types of questions posed during the interview may not have allowed them to share in-depth information. We also acknowledge that, because we did not observe any of the participants' experiences in dental settings, the reported stigmatizing incidents might have been a result of misinterpretation of the clinical situation. The stigma attached to PLWHA can prevent optimal oral care and be detrimental to their overall health and well-being. Our study highlighted the need to prepare current and future dentists so that they thoroughly understand the needs of PLWHA. It also highlights the importance of keeping in perspective the historical impact the disease has had in terms of patients' comfort in disclosing HIV status and the harmful effects of previous adverse experiences with dental care professionals; PLWHA may feel stigmatized, labeled, stereotyped and discriminated against. Findings from our study may be used for educational purposes to enhance the social awareness of dental professionals about the complexities of navigating HIV disease. Dr. Brondani is associate professor, faculty of dentistry, University of British Columbia, Vancouver, British Columbia. Dr. Phillips is associate professor, faculty of health sciences, school of nursing, University of Ottawa, Ottawa, Ontario. Mr. Kerston is a past adjunct faculty at UBC College of Health Disciplines; vice chair, board of directors, Canadian Treatment Action Council; community co-chair, Doctor, Patient and Society Community Advisory Board, UBC faculty of medicine; outreach coordinator, Positive Living Society of BC. Ms. Moniri is a Doctor of Pharmacy student, Massachusetts College of Pharmacy and Health Science University, Boston, Massachusetts. Acknowledgements: This study was supported by the 2011 University of British Columbia, faculty of dentistry pilot study awards. We greatly appreciate the time devoted to the study by the peer-led facilitators and volunteer participants. We also thank Brandy Svendson, executive director of Does HIV Look Like Me International, and Dr. Lillian Pozzer-Ardenghi for their guidance, insights and feedback. Clare Davies provided useful comments on the style of this paper. Ethical approval for this study was granted by the Behavioural Research Ethics Board of the University of British Columbia (#H12-00368). Mann JM. Statement at an informal briefing on AIDS to the 42nd session of the United Nations General Assembly. J R Statist Soc A 1988;151(1):131-6. Earnshaw VA, Smith LR, Chaudoir SR, Amico KR, Copenhaver MM. HIV stigma mechanisms and well-being among PLWH: a test of the HIV stigma framework. AIDS Behav. 2013;17(5):1785-95. Link BG, Phelan JC. Stigma and its public health implications. Lancet. 2006;367(9509):528-9. Kirp DL, Bayer R, editors. AIDS in the industrialized democracies: passions, politics, and policies. New Brunswick, NJ: Rutgers University Press; 1992. Corrigan PW, Watson AC. The paradox of self-stigma and mental illness. Clinical Psychol Sci Prac. 2002;9(1):35-53. Rasinski KA, Woll P, Cooke A. Stigma and substance use disorders. In: Corrigan PW, editor. On the stigma of mental illness: practical strategies for research and social change. Washington (DC): American Psychological Association; 2005. p. 219-36. Gardner EM, McLees MP, Steiner JF, Del Rio C, Burman WJ. The spectrum of engagement in HIV care and its relevance to test-and-treat strategies for prevention of HIV infection. Clin Infect Dis. 2011;52(6):793-800. Oboro H, Azodo C, Sede M. Perception of HIV/AIDS patients among pre-clinical dental students. Int J Infect Dis. 2008;12(suppl 1):e158. Cunningham WE, Sohler NL, Tobias C, Drainoni ML, Bradford J, Davis C, et al. Health services utilization for people with HIV infection: comparison of a population targeted for outreach with the U.S. population in care. Med Care. 2006;44(11):1038-47. Giuliani M, Lajolo C, Rezza G, Arici C, Babudieri S, Grima P, et al. Dental care and HIV-infected individuals: are they equally treated? Community Dent Oral Epidemiol .2005;33(6):447-53. Askarian M, Mirzaei K, Assadian O. Iranians' attitudes about possible human immunodeficiency virus transmission in dental settings. Infect Control Hosp Epidemiol. 2007;28(2):234-7. Madhan B, Gayathri H, Garhnayak L, Naik ES. Dental students' regard for patients from often-stigmatized populations: findings from an Indian dental school. J Dent Educ. 2012;76(2):210-7. Brondani MA, Bryant SR, MacEntee MI. Elders' assessment of an evolving model of oral health.Gerodontology. 2007;24(4):189-95. Loignon C, Allison P, Landry A, Richard L, Brodeur JM, Bedos C. Providing humanistic care: dentists' experiences in deprived areas. J Dent Res. 2010;89(9):991-5. Lambert VA, Lambert CE. Qualitative descriptive research: an acceptable design (editorial). Pac Rim Int J Nurs Res. 2012;16(4):255-56. Patton LL, Santos VA, McKaig RC, Shugars DC, Strauss RP. Education in HIV risk screening, counseling, testing, and referral: survey of U.S. dental schools. J Dent Educ. 2002;66(10):1169-77. Saldaña J. The coding manual for qualitative researchers. 2nd ed. London (UK): Sage Publications Ltd; 2013. Curioso WH, Kurth AE. Access, use and perceptions regarding Internet, cell phones and PDAs as a means for health promotion for people living with HIV in Peru. BMC Med Inform Decis Mak. 2007;12:7-24. Cunningham CO, Li X, Ramsey K, Sohler NL. A comparison of HIV health services utilization measures in a marginalized population: self-report versus medical records. Med Care. 2007;45(3):264-8. Earnshaw VA, Chaudoir SR. From conceptualizing to measuring HIV stigma: a review of HIV stigma mechanism measures. AIDS Behav. 2009;13(6):1160-77. Simbayi LC, Kalichman S, Strebel A, Cloete A, Henda N, Mqeketo A. Internalized stigma, discrimination, and depression among men and women living with HIV/AIDS in Cape Town, South Africa. Soc Sci Med. 2007;64(9):1823-31. Ingram D, Hutchinson SA. HIV-positive mothers and stigma. Health Care Women Int. 1999;20(1):93-103. DePierre JA, Puhl RM, Luedicke J. A new stigmatized identity? Comparisons of a "food addict" label with other stigmatized health conditions. Basic Appl Soc Psychol. 2013;35(1):10-21. Azodo C, Umoh A, Ezeja E, Ukpebor M. A survey of HIV-related knowledge and attitudes among dental nursing students in South Western Nigeria. Benin J Postgrad Med. 2007 9(1):1-12. Brondani MA, Paterson R. Teaching lesbian, gay, bisexual and transgender issues in dental education: a multipurpose method. J Dent Educ. 2011;75(10):1354-61.